Just hatched! 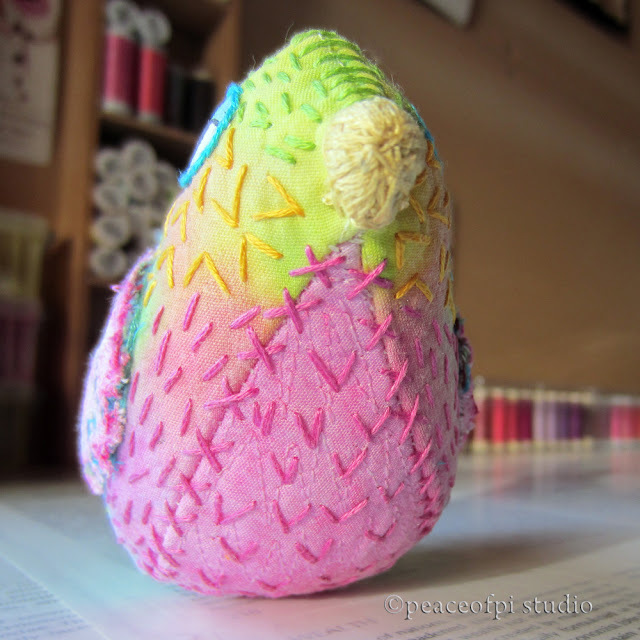 Covered in hand stitching, this bird began as plain white fabric. Thanks to an inky dye job, she now has a colourful body and fuchsia lace wings. 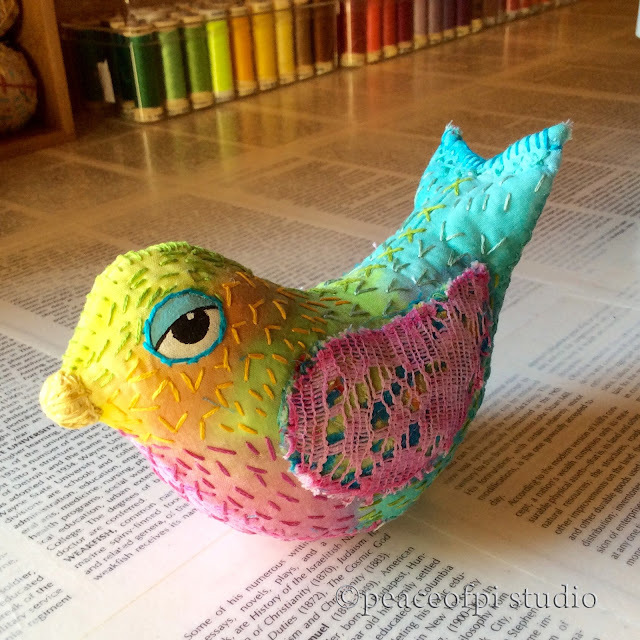 Bold eyes were added with paint and outline stitched in bright turquoise, bringing this stuffed bird beauty to life. Simple but colorful embroidery stitches add an additional layer of color and texture. See the machine stitching on her belly? It's just another layer of texture, adding depth and interest. Itching to sew your own bird buddy? Easy - with a bit of help from Little Birds by Design Collective. Birds featured include an owl, bluebird, dove, peacock, budgie, stork, cardinal and penguin. 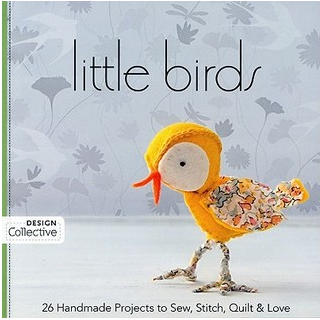 With beginner friendly and more advanced projects, this book has something for everyone. There are 26 unique projects from a variety of makers, each with full instructions. 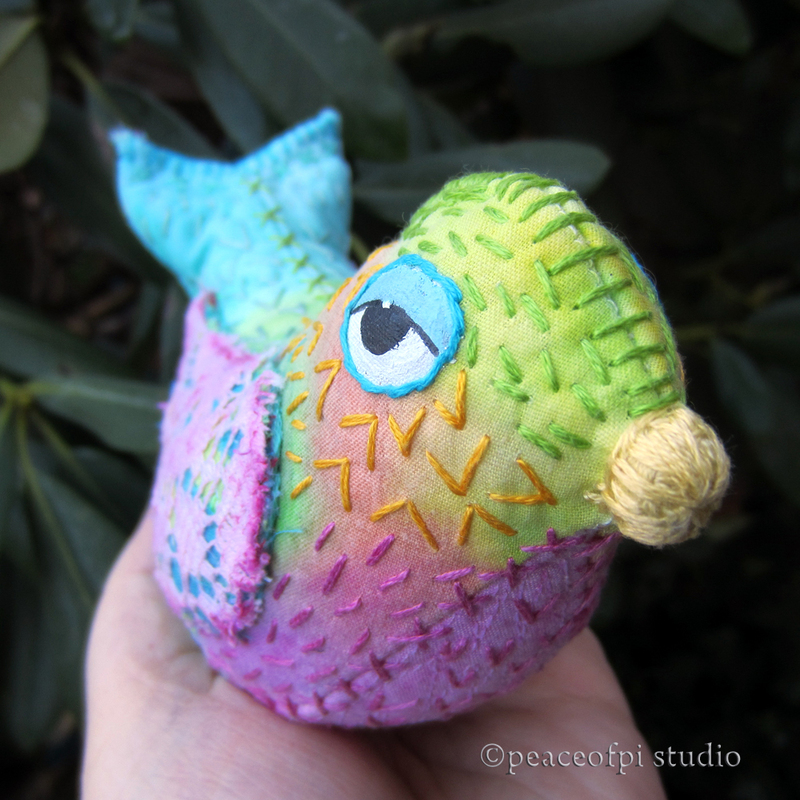 The projects include softies as well as an apron, mobile, wallet, small bag, journal, wreath, wall hanging and quilt. Hours of stitchy fun guaranteed. Need more softie inspiration? 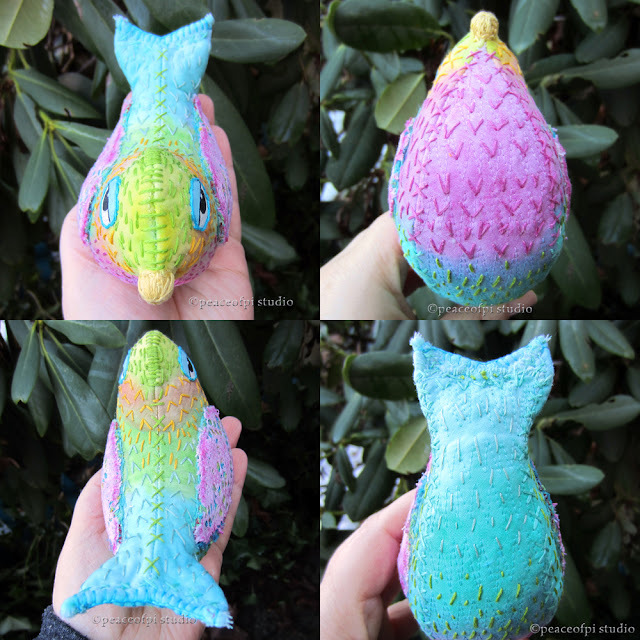 Check out more bird, creature and folk soft sculptures on my art doll page, read my blog posts about softies OR check out my pinterest board for a wowza collection by artists worldwide.